Swimming pools and beach vacations, waterskiing at the lake and rafting on the river, canoeing, kayaking, fishing, boating, wake boarding, tubing, jet skiing, snorkeling, sailing, surfing, and swimming - when it's summertime and the mercury is on the rise, there is nowhere we'd rather be than in the water! 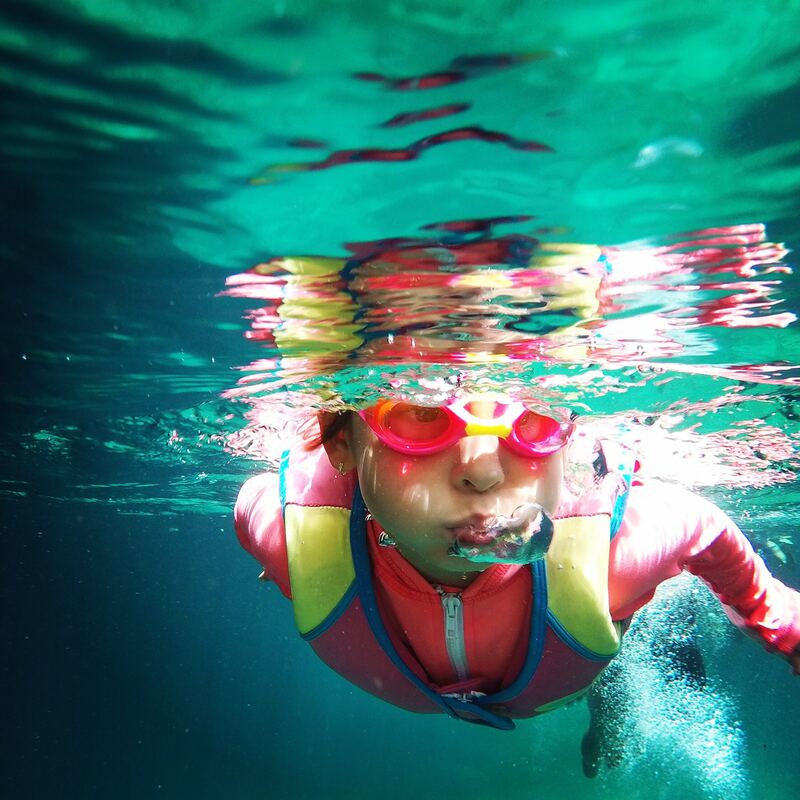 North America’s lakes, rivers, and seas are oases of beauty and respite from the summer sun, so it’s no surprise that swimming is summer’s number one pastime. But as you enjoy the season's final days, please make water safety your first priority. Swimming cools us off and keeps us fit, but it can also be dangerous. Drowning is the number one cause of unintentional death among children aged 1-4, and it's the number two cause of unintentional death among those aged 5-24. A moment of distraction can be fatal, so please take great care to keep yourself and your loved ones safe in the water. Learn to swim, and make sure your children learn to swim. This cannot be overstated. According to the CDC, teaching children to swim can reduce their risk of drowning by as much as 88%. That’s huge! Swimming is a vital, possibly life-saving skill, so sign up for those lessons. (The American Academy of Pediatrics does not, however, recommend swimming lessons for children under 1 year of age.) Swim lessons should not be regarded as "drown proofing," though; close supervision by a responsible adult is the best way to prevent drowning in children. Just don’t do it. Not ever. Even the best swimmers can experience muscle cramps or exhaustion, and find themselves in need of help. Do not leave children unattended near water. Constant adult supervision is key around water, even bathtubs. Drowning can happen very quickly; that phone call can wait. Even when swimming with all adults, it is crucial to have a designated "watcher" (this could be a lifeguard) who will avoid distractions and keep their eyes on the swimmers at all times. Reader's Digest. Enclose backyard swimming pools with a fence at least 4 feet high, separating the house from the pool. Know what to do in case of an emergency (this is great knowledge to have in many situations). Drinking and swimming don’t mix. Alcohol impairs your judgment, coordination, and swimming ability. It also lowers your body’s core temperature, which increases your risk of hypothermia. Wear a life jacket when you are boating. Also, children or inexperienced (or even just really tired) swimmers should wear life jackets around lakes, rivers, or oceans. Be aware of where you’re swimming, always swimming in designated swimming areas and watching out for sudden drop-offs, rip currents, and underwater hazards. Be aware of your own swimming ability and don’t take chances. Summer fun also means summer heat, and dehydration happens more quickly than you realize. Protect yourself from those UV rays. Wear sunscreen, and be sure to reapply every two hours (or after you get wet).Hats, sunglasses, and cover-ups are your friends, so keep yourself covered whenever you can. Seek out the shade, especially from 10am-4pm when the sun is most intense. Be especially careful around water and sand, which reflect UV rays and can cause sunburn even more quickly. Reader's Digest, 12 Water Safety Tips Adults don't follow but should.